We know you love animals. But Big Paw Pet Care's team of care providers aren't just there to play with dogs and snuggle with kitties. We provide a premium service to our demanding clientele. 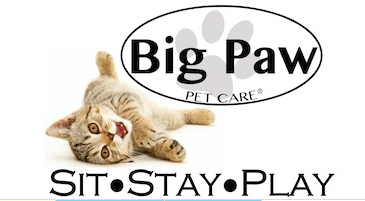 For our clients, Big Paw Pet Care means trust, integrity and peace of mind. In the spaces below, tell us about the customer service skills you will bring to Big Paw Pet Care, ensuring our high standards are always exceeded for our clients.